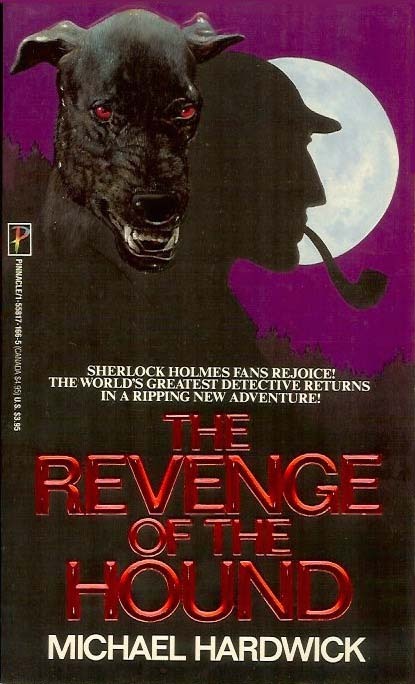 This sequel to The Hound of the Baskervilles was first released in hardcover 1987 to celebrate the Centenary of Sherlock Holmes. This paperback edition from Pinnacle released in 1989. Sherlock Holmes and Doctor Watson are back! World-class Sherlockian Michael Hardwick has faithfully resurrected Sir Arthur Conan Doyle's beloved super-sleuth in a dazzling new adventure so devilishly ingenious that Sir Arthur himself would most certainly have applauded! A sleeping derelict is savaged by a huge hound... The headless skeleton of Oliver Cromwell is stolen...A Chinese ship's steward is mysteriously murdered... And the King of England is threatened with blackmail. A sinister game is afoot, and it's up to Sherlock Holmes and his devoted crony and chronicler Dr. John Watson to put the pieces of the bizarre puzzle together, in order to keep the British Empire from being torn apart!